In the early 1930s, two young men began to assume responsibilities well beyond their hired roles as animators for Universal Pictures. The better known of these two, Tex Avery, left the studio in 1935 to achieve lasting fame for his work at Warner Bros. and MGM. The other, Manuel Moreno, stayed with Walter Lantz and deserves more recognition for his many contributions to the Universal cartoons during that decade. As Lantz increasingly became the managing producer for the Oswald series and less available to direct, it was Moreno who filled the gap with his talent and prodigious work. His creative stamp on the evolving complexion of these cartoons was huge. He redesigned Oswald as a cute white rabbit to follow the Disney trend. He also quietly assumed the mantle of director over the unit that was reporting to Lantz and then later for the entire department. 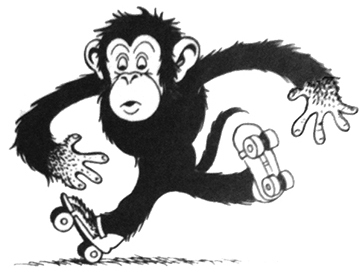 Moreno modernized the animation and visual style of the cartoons and even launched his own series for Universal starring three monkeys named Meany, Miny, Moe. These were bustling with irreverent humor, but Lantz was constrained by the pragmatic budgets that he embraced to survive. Under the weight of growing financial troubles, Lantz was charting a different course than Disney. A series with three main characters was a costly extravagance and the series was shortly ended. Meanwhile, Disney was forging ahead with Snow White and the Seven Dwarfs. Turbulence swirled at Universal during this period. Tex Avery left under strained conditions, as did the co-producer of the Oswald series, Bill Nolan. By the latter half of the 1930s there was a palpable sense that the Oswald staff was sinking on a rickety ship. As top talent maneuvered for work at other studios, it frayed a gentlemen’s agreement among the animation studio bosses. These producers may have balked at the inflationary costs of a revolving workforce, yet they were happy to poach some of Lantz’s best artists. Despite his usual gracious nature, this was a panicky time for Lantz. He was known to place calls to other studios to stave off some of these defections. To fill shortages, he also hired from these same competitors. As Lantz spent more of his time navigating the maze of Hollywood business tactics, he kept delegating more and more creative authority to the guy everyone called Manny. When Walter faced new constraints, it was Manny who would innovate on the shop floor. New guys, especially from New York, often could not draw the newer, less geometric Oswald, so Moreno diverted scenes to a growing number of side characters, beginning the road to less appearances by the Lucky Rabbit in his own cartoons. Moreno created lots of model sheets at scaled sizes for animators to literally copy and he also drew key-poses within sequences to guide the artists along. He was the designer of the major 1933 and 1935 character revisions, a compromise between the need for a contemporary look and practical drawbacks that existed, such as problems with animators drawing Oswald’s bulky pants. This was a period in the industry when all cartoons were generally performing well at theaters, so trends were optimistic enough for Lantz to cut an independent production deal with Universal in 1935—even though the Cartoon Dept. remained in place on the lot and the work continued there as if nothing had changed. From a 1982 interview with Milt Gray, he said, “Even then, I made allowance for that because [Lantz] was under pressure at Universal. He started getting panicky, and Disney and Schlesinger had taken some of his staff. He couldn’t keep them even if he offered more money.” Jerry Geronimi, one of the early Lantz-to-Disney defectors, had apparently tried to bring Moreno over to the Disney studio several times earlier, but Manny felt a sense of loyalty and gratitude to Lantz, politely declining each time. By 1937, the offer was no longer on the table, but he did finally leave. He helped Hugh Harman and then took a contract to work as an animator at MGM. This photo dated August 26, 1939, shows him sipping a root beer at his desk. And yes, that’s Barney Bear on his drawing board. Ed Benedict once told me the tremendous regard he had for Moreno when the two worked together at Universal in the early 30s. He even offered his strong opinion that if Manuel Moreno had gone to Disney he would have become one of the top animators there, leaving me to wonder what might have been had he taken that path. 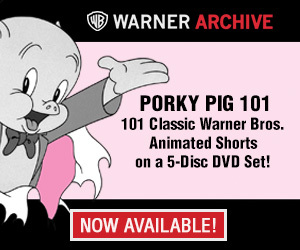 Instead, like Tex Avery, Manny was entrepreneurial and itching to run his own business. He also was technically inclined and liked the whole nuts ‘n’ bolts process of filmmaking. After WWII, he fulfilled an independent production deal to make cartoons in Mexico. That is a forgotten story of the Golden Age of Animation that will soon get its own blog post here, but there is no doubt his years at Universal were formative for him. Leading an animation staff during periods of studio upheaval gave him the confidence to dream big and to perform under pressure. The experience there also sapped him. He spoke of being constantly exhausted making the deadlines on the Oswald series. His legacy, in many ways, is Lantz’s resulting success. He propped up the studio at a critical time, allowing for the second chance that Lantz got with characters like Andy Panda and Woody Woodpecker. However, Moreno found another passion while working at Universal. He was a shutterbug who took his hobby seriously, shooting both still photography and motion pictures. The studio gave him access to camera equipment and knowledgeable people to advise him. He was even known to film home movies and gag reels of the animators, one of which I own. This source of relief during the unrelenting production demands of the 1930s also became an off-ramp for him in the following decade. 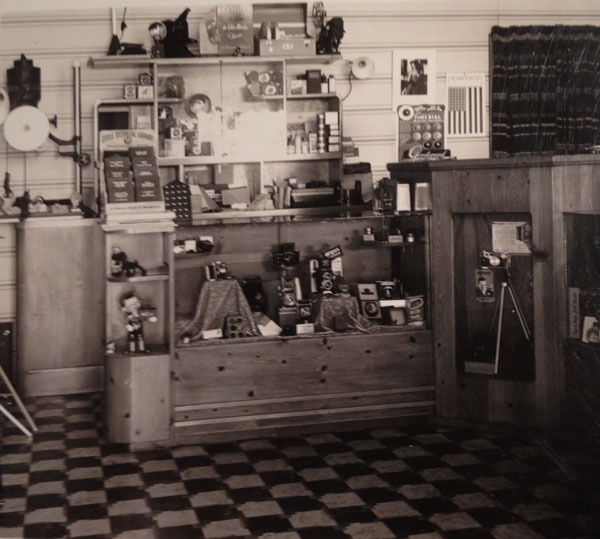 In 1941, his brother George was drafted and sent to Britain for military service, obliging him to leave behind a photo processing store that he owned and operated. It was located at the intersection of Crenshaw and Adams, in the Mid-City section of Los Angeles, and was called The Camera Bug. Its name evokes some of those whimsical cartoons Moreno had supervised for Lantz, such as The Toy Shoppe (1934) or Night Life of the Bugs (1936). Manuel briefly left his work in animation to take over for George, but with the wartime rations and shortages making film too scarce for retail, he ended up liquidating and closing the store. After a few years building up and running his own animation studio in Mexico City, he returned to Los Angeles. He ultimately found his greatest success opening a business called Professional Color Service. This served a wide clientele of post-war camera enthusiasts for twenty-five years. For the Moreno family, this became the anchor of their financial well-being, freeing them from the boom-or-bust seesaw of Hollywood filmmaking. By any regular measure, Manuel Moreno had a wonderful and gratifying life. 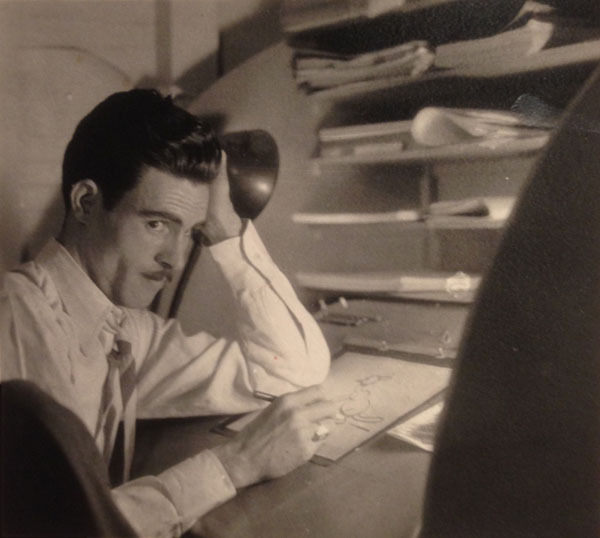 However, among the pantheon of American animators, the elevated standing that he might have attained was lost when he never pursued those multiple offers to work at Disney. That, however, is no reason to overlook his substantial body of work at Universal, which we ought to put under our own generous lens for consideration. This was a very informative post, Tom! Marvelous work! The model sheet of Mama Bear in Hugh Harman’s GOLDILOCKS AND THE THREE BEARS can be seen on the wall next to Moreno in the MGM photograph. This is a fascinating post, and I wonder how many of his cartoons made it to the WOODY WOODPECKER AND FRIENDS collections as I’ve rather liked the 1930’s output of just about all the major animation studios of the time. I’m always amazed by the disloyalty that I’m always reading about here, but I guess you do what you can when money’s tight. I guess the same stories can be told today, especially for those talented artists still doing what is now called 2D animation. Pretty sure the animation drawing on Moreno’s disk is Papa Bear from one of the three bears cartoons. Why did Bill Nolan leave Lantz? Or is that going to explained in a future post? That’s possible: I didn’t look back to a specific cartoon to confirm the bear-in-hammock pose, but on the back of the photo Moreno wrote: ‘Aug-26-39 MGM “Barney Bear” on drawing board.’ Also, his note written on back of top photo is “Universal Studios, Aug. 21-35 Manuel, Animator/Director”. I did’t supply a caption, but since we know the date on that, can anyone confirm what he’s drawing there in 1935? And Pat, I’ll certainly write more on Bill Nolan in an upcoming post. His leaving Universal was related to the cutbacks and studio upheaval I’ve been mentioning in recent articles. I just checked my VHS Viddy-Oh Barney Bear tape and although Barney is the star “A RainyDay” starring the Three Bears was included. The hammock shot of Papa appears near the beginning and model sheet is definitely the Mama in the story (“Pitter patter, pitter patter, listen to the rain”). I hope Devon can post a breakdown of this cartoon because there’s several classic moments in it like the tidal wave of roof shingles during the storm and Papa’s frustrated mumblings. Unfortunately, the film has no credits at all so hopefully there’s a record of some kind as to who created this mini-masterpiece. The tidal wave of shingles scene in A Rainy Day was animated by Bill Littlejohn. I really want to see the post on Mexican animation during the Golden Age. I tried to find information on such, but it’s very hidden. That looks like a drawing from “Papa Gets The Bird” (1940), directed by Hugh Harman. Thanks, glad you guys enjoyed it. Unfortunately, there is very little written about Manuel Moreno. Because of my focus on Lantz animators, I was lucky enough to have met his grandson Mario Prietto almost 20 years ago, after an introduction by Maureen Furniss. Moreno’s contributions to Universal cartoons in the 30s are impressive enough, but it was really his pioneering venture in Mexico City in the 1940s that is the more spectacular story. 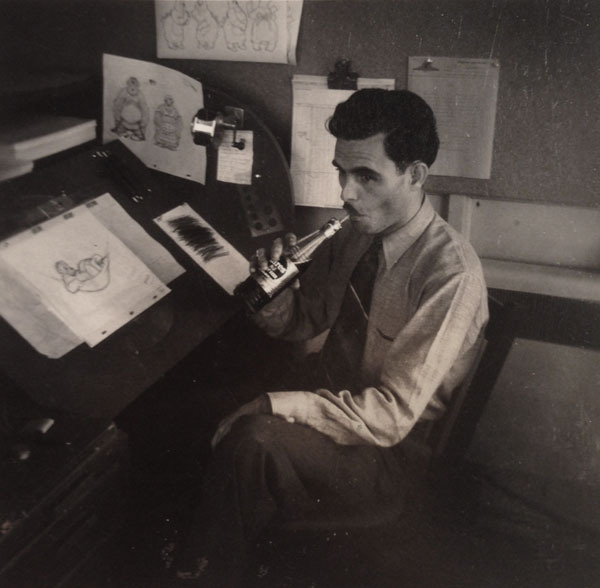 His was the earliest commercial animation studio in Mexico and he trained the first staff of Mexican animators. The tragedy is that his films have not survived, so his story has faded over time. Even the 30s Oswald films he directed were virtually unavailable until recent efforts succeeded in disseminating these via the internet. So, this will be one of my missions here: to tell his story and to put Manny back into the picture as someone we should remember from animation history. More to come, and please spread the word about Manuel Moreno. Let me correct myself, really should be placing his Mexico City efforts as among the earliest Mexican cartoons, as Alfonso Vergara Andrade’s AVA studio films preceded Moreno. Also, prints remain, and “Paco Perico’s Premiere” can be watched online. Did anyone involved in Moreno’s studio go on to work for Val-Mar / Gamma Productions? Any chance of talking about animation pioneer Charles Bowers’ brief stay at Lantz? Thank you so much for such an informative article!! I learned more than I ever knew about my own grandfather!! I also appreciate the research that acknowledges folks that work “behind the scenes” that so often get passed by in history. I’ve always been a bit puzzled by younger brother George’s photographic shop. Manuel got George a job at Universal in the mid 1930s (a 1948 biog says 1935 but he appears on the staff photo dated September 1934). He worked at Universal as an assistant until 1938 when he joined Fleischer’s in Miami as an animator to work on Gulliver. In the 40s he was in Myron Waldman’s unit, working on the Stone-Age shorts. His last credit is on the short Ants in the Plants, released 15 March 1940. So how did he come to return to California and run a photographic processing store before being drafted in ’41? Why didn’t he stay on to begin work on “Mr Bug Goes To Town”? Fred Kopietz recalled “he was like Ben Clopton. He liked to fight, and he liked to drink.” Did he get into trouble in Miami? That’s a bottle of Hires “RJ” Root Beer Manny’s drinking in the August 1939 Barney Bear photo. Awesome post! Hope you continue to unearth more on Manuel’s time in Mexico. He returned from Mexico a “broken man”, his enthusiasm and talent for animation gone. Thanks for your interest in my grandfather! PS, I have never heard him referred to as “Manny”?? GRACIAS! Really glad you enjoyed the post. I should clarify that when I wrote “everyone called him Manny” that I was referring only to the juvenile atmosphere among the Lantz animators, where guys easily took on nicknames, none more famous than Fred ‘Tex’ Avery. In interviews that I had with surviving animators of that period, even with Walter himself, I noticed they would interchangeably use Manuel or Manny to refer to your grandfather; I’m sure this was just a monicker of his youth, but as these old men reminisced on the time they worked together, the nicknames of the 1930s invariably would come up. The period of the cute version of Oswald through the last Black and white cartoons are the period of Lantz films I’m least familiar with. I haven’t seen many of them. Thanks Peter for bringing up about George Moreno Jr. and his own career as an animator. With his family in Los Angeles, and his move to Miami for Fleischer being the more ‘radical’ departure, it wasn’t that much of a stretch for him to return to L.A, and I should have mentioned that Manuel and George were both camera enthusiasts when they worked together at Universal in the 30s. He had no sooner opened The Camera Bug when history intervened. Suddenly he found himself drafted and stationed in the UK for WWII. Check out a 2011 Bear Alley blog post for more on George’s subsequent work as an animator in post-war England. And, you can watch his “Bubble and Squeek” cartoons on YouTube.